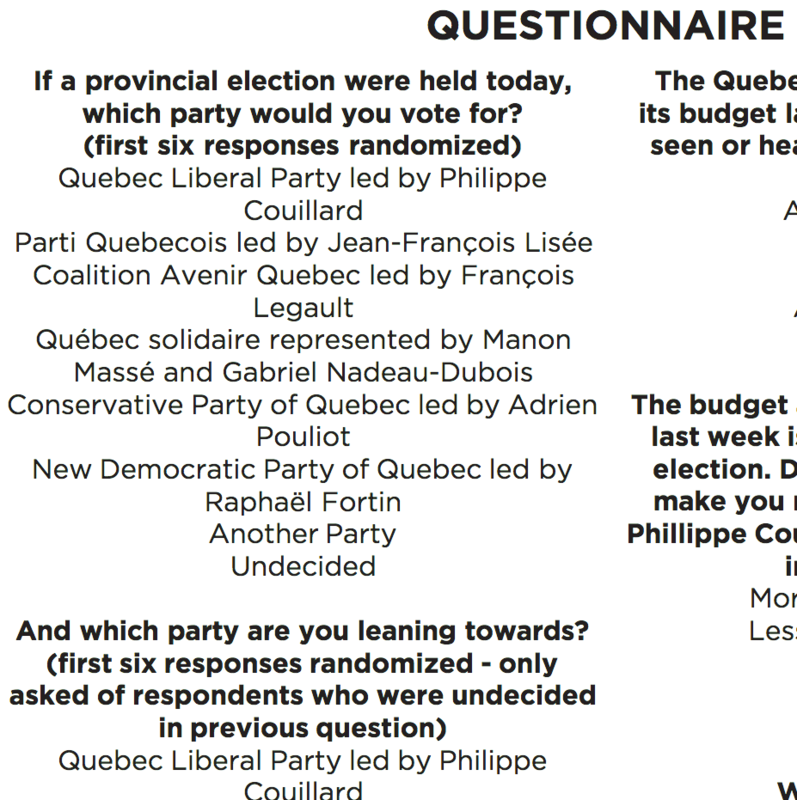 Source: «Quebec Voter Intention Numbers». Mainstreet Research, avril 2018, p. 8. 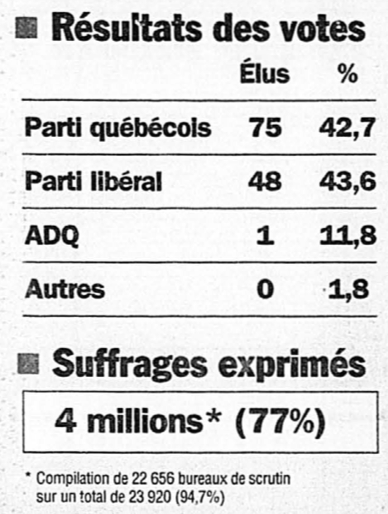 Source: «Quebec Voter Intention Numbers». Mainstreet Research, avril 2018, p. 10. 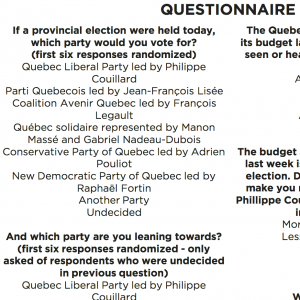 Polls measure voting intentions. That means “if the election was held today, I’m pretty sure I’d vote for party X’s candidate”. It’s just an intention, it’s not how people actually cast their votes. They can change their minds, end up not voting… or just lie to the pollster!